Fine Oak: Located in Moray, Craigellachie, the Speyside distillery that is The Macallan is the third largest selling single malt scotch in the world. Originally, Macallan’s Scotch whisky was, primarily, matured in oak seasoned with sherry brought to the distillery from Jerez, Spain. However, at the beginning of 2004, Macallan introduced a new product: the Fine Oak Series (triple-cask matured), with whisky matured and mellowed in seasoned American oak casks, as well as sherry casks from Spain. The Fine Oak Series was quite a departure for The Macallan distillery and at the time brought about rave reviews from some quarters, even being deemed by one whisky expert “Best New Scotch Brand” when it was launched. Tasting Notes: On the nose: you’ll experience an initial waft of old musty oak and honey. After a couple of swirls, notes of apples, pears and citrus zest start to emerge with a hint of dried mango and sherry. There are some lovely fragrant notes of vanilla and cinnamon, alongside fresh floral notes that seem to fade in and out. On the palate: those sweet sherry notes seem to appear first, followed by notes of dried mixed fruits. There is a lovely hint of chocolate, followed by cinnamon, nutmeg, cloves and vanilla. Towards the end a very interesting mocha note emerges, alongside the lightest touch of oak. The finish: medium, sweet and spicy, with lingering oak. The verdict: Macallan as a brand is so well revered around the world and on evidence of this 12-year-old Fine Oak, it’s not hard to see why. This is a Scotch that on the nose is rather rich and complex, but on the palate is much mellower than one would’ve thought: a delightfully-balanced dram in my opinion, but not overly oaky. It’s probably not a Scotch that I would add any water to, but if you feel the need, only add in small quantities until it’s just right for you. Royal Oak: Like The Macallan Fine Oak series, when introduced in 1972, the Royal Oak was something new—not only to Audemars Piguet, but also to the entire watch industry, for it was the first high-end sports wristwatch made in stainless steel. 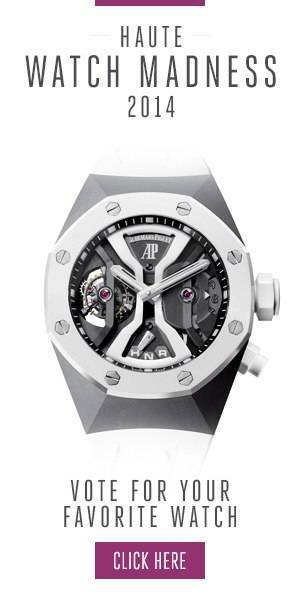 Audemars Piguet was known at this time for making sophisticated high-end wristwatches, but the Royal Oak was a daring new design that made the watch industry stand up and take note. Designed by legendary watch designer Gérald Genta in 1972, the Royal Oak featured a design that appeared complicated yet very minimalistic. Based on a ship’s porthole, the distinctive monobloc, octagonal bezel—secured by eight hexagonal screws—meant the Royal Oak could be very thin, and with an integrated bracelet, the sports-watch look that AP had desired was achieved. However, one of the most notable designs of the Royal Oak was its “Grande Tapisserie” dial, which featured the famed Clous de Paris motif. Introduced in 2012, this 18-karat, pink-gold Royal Oak Selfwinding embodies the same spirit of the original 5402 that was introduced in 1972; however, its 41mm case meets the needs of the modern man. The piece features a black “Grande Tapisserie” with pink-gold applied hour-markers. At the heart of the Royal Oak 15400 beats the self-winding calibre 3120, which features one of the most beautifully engraved 22-karat gold oscillation weights. The Royal Oak oozes restraint and sophistication on a level that is nay ostentatious, but rather more established.